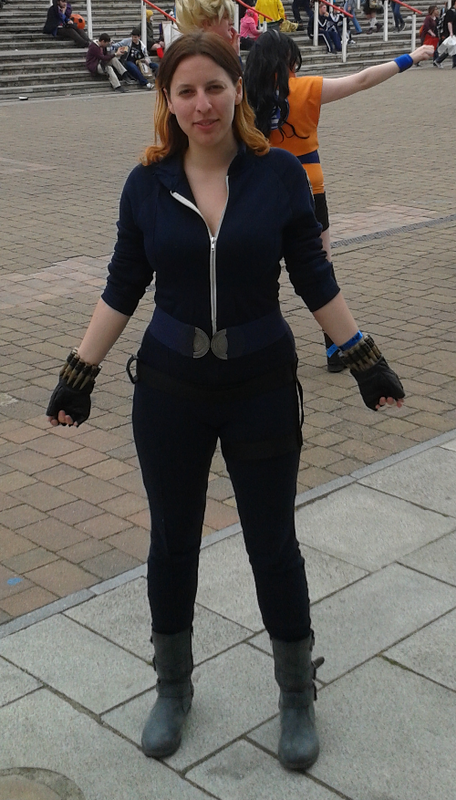 This weekend I went to the super awesome Comic Con in London. I was completely in awe of the sheer number of people in costumes and by the quality of the costumes themselves. I was a great couple of days of unrestrained geekiness, with people being themselves in an atmosphere of total acceptance. I've been getting really into the Avengers franchise recently, so I decided to go with deadly Soviet-trained assassin Natalia Romanova. Making my costume was a boat-load of fun. The basis for it all was a ridiculously comfortable onesie I made from a Primark men's tracksuit. Below, I'll take you through how I made it. 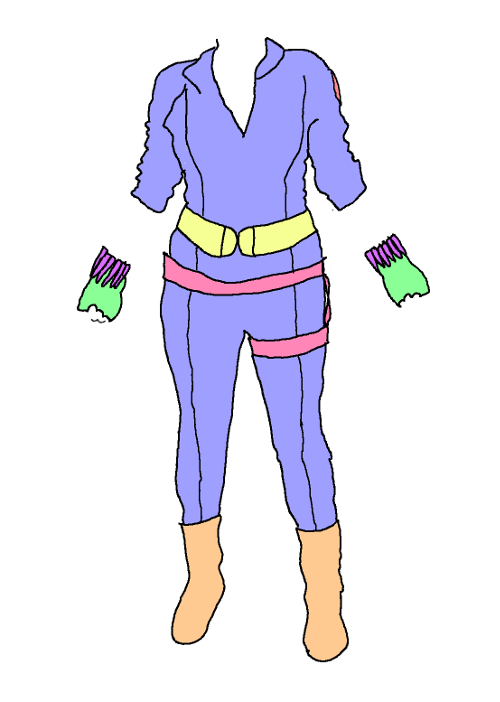 The other important parts of the outfit were the bullet bracelets, the driving gloves, a pair of buckle-y boots (Primark), an elasticated waist belt (Primark), and a thigh holster, which was made of three pieces of black webbing sewn into a large and small loop with a connecting strap.